Education has often been recognised, even sometimes proclaimed in books, seminars, conferences, sociology journals, and the like as the panacea for the problems of mankind, as the impetus to create economic growth and material well-being for the less-privileged of the world, as the key to a liberated, progressive society, as the path to self-knowledge and self-mastery, even as the means to achieve world peace. And yet communities, societies, and countries continue to struggle with providing an education that can and will fulfill these promises and realise these dreams. Teacher training methods and school resources remain subjects of debate among parents, professionals, and governments, and each decade or so, there is a paradigm shift as theorists labour to create the “new education”. It is evident these contradictions point to the importance and the validity of the argument. At the core of the struggles and debates, the many failures, and even the successes lies the need for a complete change in how education is viewed. Sri Aurobindo and the Mother have written with vivid inspiration on the subject of education, laying out some of the broad guidelines for an integral education that addresses the human need to develop the entire being, including the mental, vital, physical, psychic, and spiritual capacities. The work of implementing those guidelines and of translating the theory of an integral education into practice is of primary importance. The three new books introduced below are concerned with this “work in progress”. Theory & Practice of Integral Education attempts to present the evolutionary vision of Sri Aurobindo and the Mother on this subject in terms familiar to modern educationists. A New Education with a Soul, which envisions education’s first goal as establishing inner peace, outlines an educational programme organised to look deeply into the unseen realities of the inner human being and of the planet on which he lives. Basic Education of the Body reminds us that the physical body requires its own special form of education to become supple and strong for its conscious participation in the evolution. Two other books were previously introduced this year and as they bear on the same theme are worth noting again. Integral Education: A Foundation for the Future forcefully argues that the propagation of a new kind of education must be fully embraced by the collective if the ideal of creating a higher type of individual being is to be achieved. Along similar lines, Introduction to Integral Education: An Inspirational Guide offers psychological insights and suggestions for the kinds of changes teachers, parents, and schools need to undergo in order to create the type of environment in which the principles of an integral education can take root and nourish the child and the community. Every one has in him something divine, something his own, a chance of perfection and strength in however small a sphere which God offers him to take or refuse. The task is to find it, develop it and use it. The chief aim of education should be to help the growing soul to draw out that in itself which is best and make it perfect for a noble use. 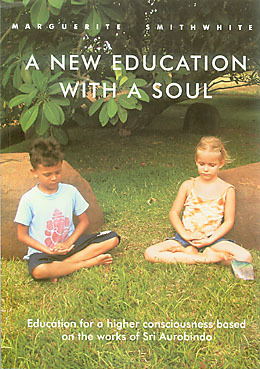 Beginning with an introductory chapter that uses paragraph summaries to present an overview of all the topics related to an integral education in the light of Sri Aurobindo's and the Mother's considerable writings on this subject, the author then outlines the aspects of a mental, vital, physical, psychic, and spiritual education. Additional chapters cover curriculum and methods of teaching as well as a sharp focus on the qualities and training of the teacher. Using his own experience as an educator, he concludes with some practical suggestions for an experimental institution of integral education. Aimed at reaching an audience of teachers and teacher educators, the book includes extensive references and a thirty-four-page bibliography on integral education. The author believes that to achieve world peace, first all individuals must attain inner peace. The key to this is education, an education neither political nor religious, bringing an insight into the unseen realities of the inner being. Today science has moved rapidly into the areas of hitherto hidden things and is demonstrating facts which are spiritual in nature. Mysticism and science are converging to unveil the soul in all things animate and inanimate. This book presents a curriculum for all ages, for a spiritual education towards a higher consciousness, fully illustrated to make it "a fascinating visual experience". It is hoped that this material will help the world's children to realise their potential and harness it to a powerful movement for human unity and peace. This book offers five different exercise programmes, each designed to give a complete workout to the entire body while using limited time, space, and equipment. 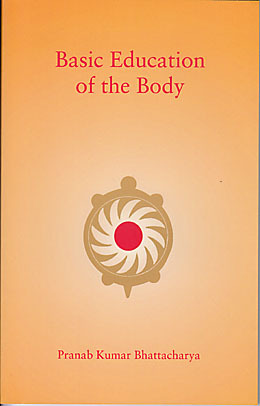 Originally issued as five separate booklets, this new publication brings together these sets of exercises, designed by the Director of the Physical Education Department of the Sri Aurobindo Ashram and notable for combining traditional Indian approaches, such as the use of asanas, with more modern methods. Included is a "minimum physical fitness test" adapted to age groups and gender. All the exercise programmes are accompanied by precise instructions and illustrations of each pose.